A report by the Ministry of Planning and Investment shows that there are 325 IZs in Vietnam, more than 220 of which have begun operation with an occupancy rate of over 73 percent. Many IZs are of large scale, with a sizable number of foreign investors, and their demands and requirements for infrastructure and electricity have increased. 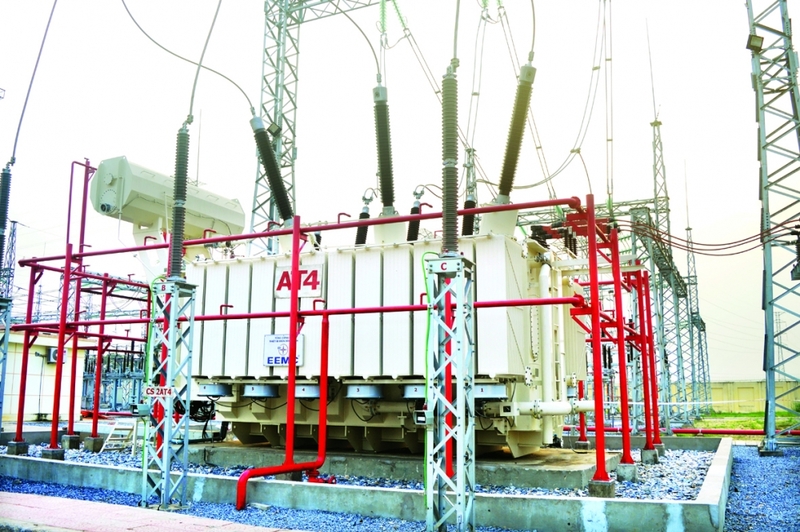 EVNNPT recently put into operation two 220kV transformers totaling 500MVA in capacity to meet the increasing electricity demand of IZs in Bac Ninh Province, including the Yen Phong IZ that is home to two giant projects of Samsung Electronics Vietnam Limited (SEV) and Samsung Display Vietnam Limited (SDV) Co., Ltd. 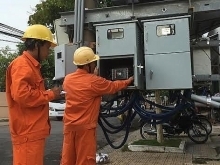 In 2017, EVNNPT put into operation transmission lines and transformer stations to supply power to Bac Ninh and Hanoi, including the Hiep Hoa - Dong Anh - Bac Ninh 2 500kV/220kV transmission line, 500kV Dong Anh transformer station, 220kV Dong Anh transformer station, 220kV Bac Ninh 3 transformer station, and the second transformer of the 500kV Pho Noi transformer station. A report by the Ministry of Planning and Investment’s Foreign Investment Agency (FIA) shows that foreign direct investment (FDI) in Vietnam is continuing to increase. As of December 20, 2017, there were 24,748 effective FDI projects totaling US$318.72 billion in registered capital nationwide. In 2017 alone, Vietnam attracted an additional US$36 billion plus in FDI capital. The achievements are attributed to reform efforts by the government, ministries, sectors and localities, as well as to the stable supply by the electricity sector, including EVNNPT. 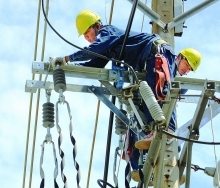 The corporation has not only invested in infrastructure to ensure safe, stable and uninterrupted power supply, but has also improved customer services on a regular basis. 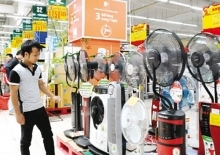 At a recent ceremony to announce the 2017 Provincial Competitiveness Index (PCI) in Hanoi, a Vietnam Chamber of Industry and Commerce (VCCI) representative assessed that the power supply quality had improved significantly and was one of services with the highest growth in business satisfaction. It ranked second among services with a 74-percent business satisfaction rate, up from 69 percent in 2016. 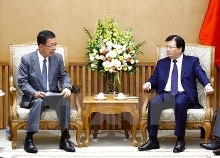 Samsung Display Vietnam CEO Kweon Yuong Chan said he highly appreciated the enthusiasm and efforts by installers of additional transformers to increase the capacity of transformer stations in Bac Ninh Province without any negative effect on the electrical system. EVNNPT Members Council Chairman Dang Phan Tuong said the company is committed to ensuring safe, reliable and stable electricity transmission for economic, political and social activities, national security and defense, and the Vietnamese electricity market.